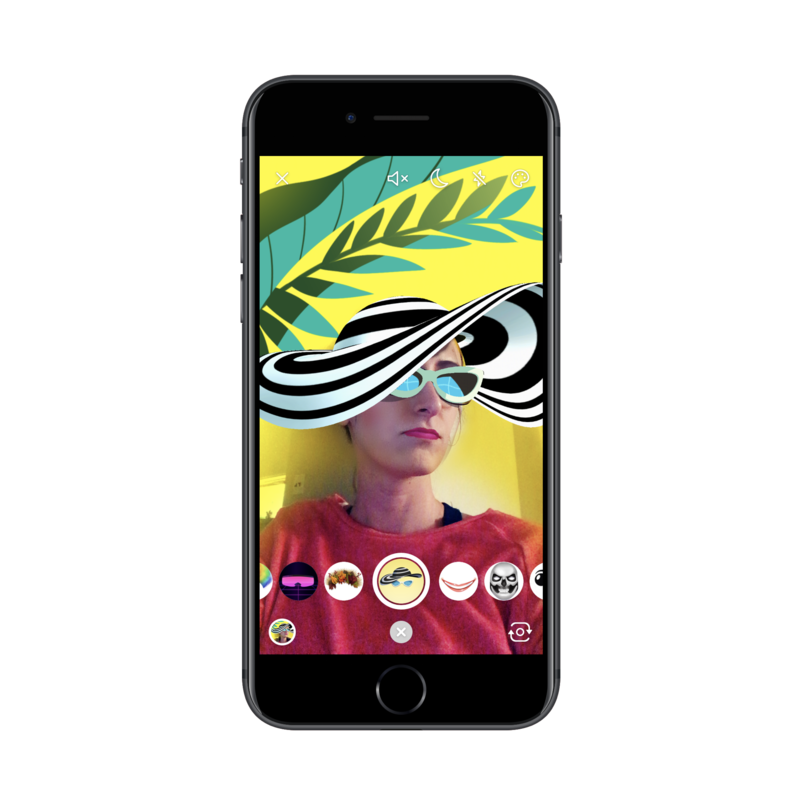 Augmented reality has been on marketers’ minds for years now — and there’s a good reason for it. 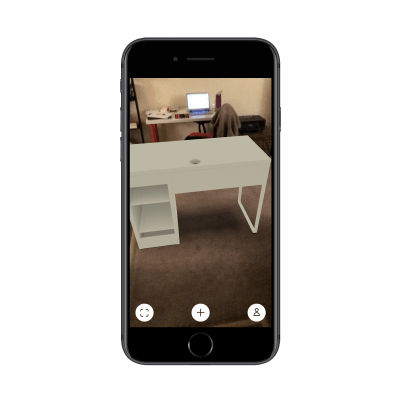 Augmented reality (or AR) is a technology that layers computer-generated images on top of the real world. With the pervasiveness of the mobile device around the globe, the majority of consumers have instant access to AR-friendly devices. All they need is a smartphone connected to the Internet, a high-resolution screen, and a camera viewfinder. It’s then up to you as a marketer or developer to create digital animations to superimpose on top of their world. This reality-bending technology is consistently named as one of the hot development and design trends of the year. But how many businesses and marketers are actually making use of it? As with other cutting-edge technologies, many have been reluctant to adopt AR into their digital marketing strategy. Part of it is due to the upfront cost of using and implementing AR. 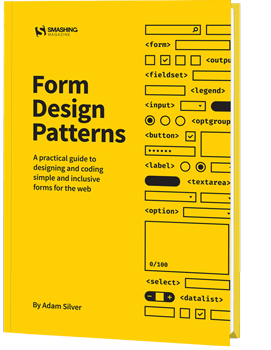 There’s also the learning curve to think about when it comes to designing new kinds of interactions for users. Hesitation may also come from marketers and designers because they’re unsure of how to use this technology. 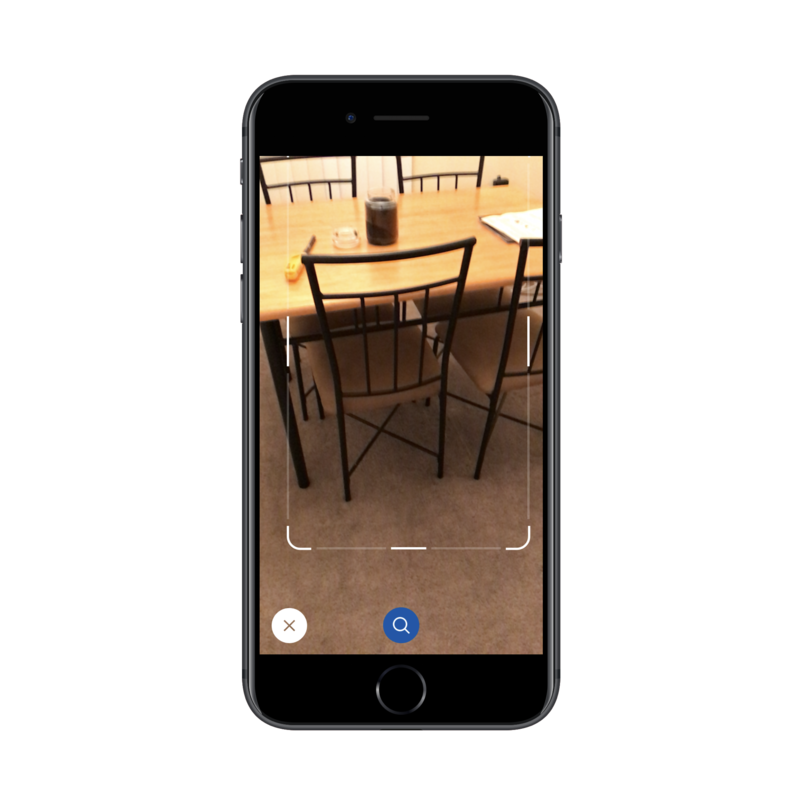 Augmented reality has some really interesting use cases that you should start exploring for your mobile app. 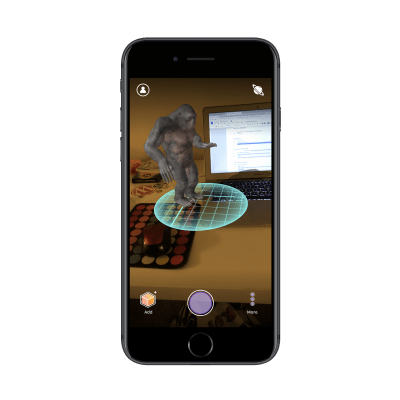 The following post will provide you with examples of what’s being done in the AR space now and hopefully inspire your own efforts to bring this game-changing tech to your mobile app in the near future. 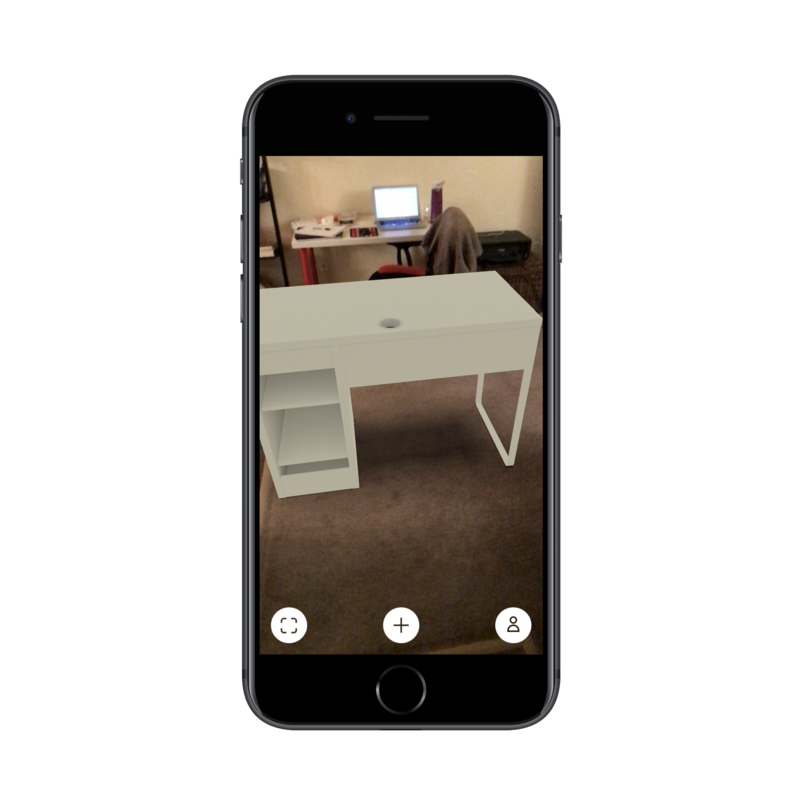 Unlike virtual reality, which requires users to purchase pricey headsets in order to be immersed in an altered experience, augmented reality is a more feasible option for developers and marketers. All your users need is a device with a camera that allows them to engage with the external world, instead of blocking it out entirely. And that’s essentially the crux of why AR will be so important for mobile app companies. This is a technology that enables mobile app users to view the world through your “filter.” You’re not asking them to get lost in another reality altogether. Instead, you want to merge their world with your own. And this is something websites have been unable to accomplish as most interactions are lacking in this level of interactivity. Let’s take e-commerce websites, for example. Although e-commerce sales increase year after year, people still flock to brick-and-mortar stores in droves (especially for the holiday season). Why? Well, part of it has to do with the fact that they can get their hands on products, test things out and talk to people in real time as they ponder a purchase. Online, it’s a gamble. As you can imagine, AR in a mobile app can change all that. 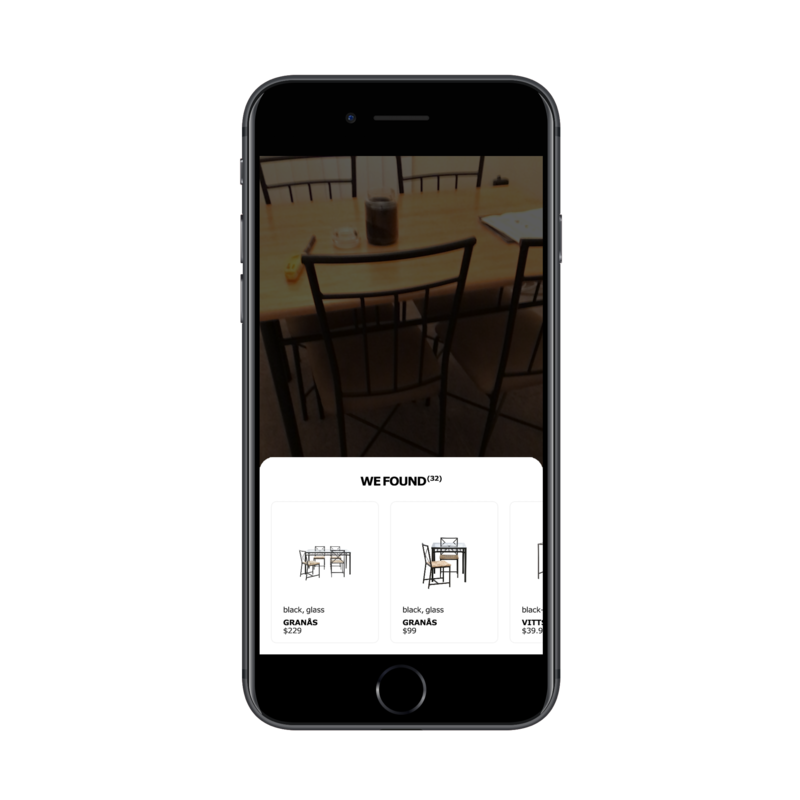 Augmented reality allows for more meaningful engagements between your mobile app (and brand) and your user. That’s not all though. Augmented reality that connects to geolocation features could make users’ lives significantly easier and safer too. And there’s always the entertainment application of it. 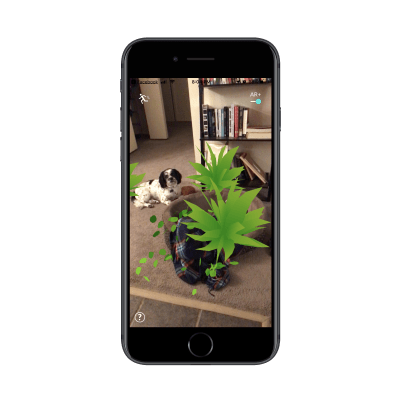 If you’re struggling with retention rates for your app, developing a useful and interactive AR experience could be the key to winning more loyal users in the coming year. 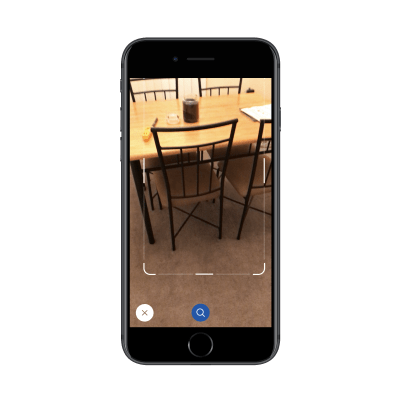 To determine what kind of augmented reality makes the most sense for your website or app, look to examples of companies that have already adopted and succeeded in using this technology. 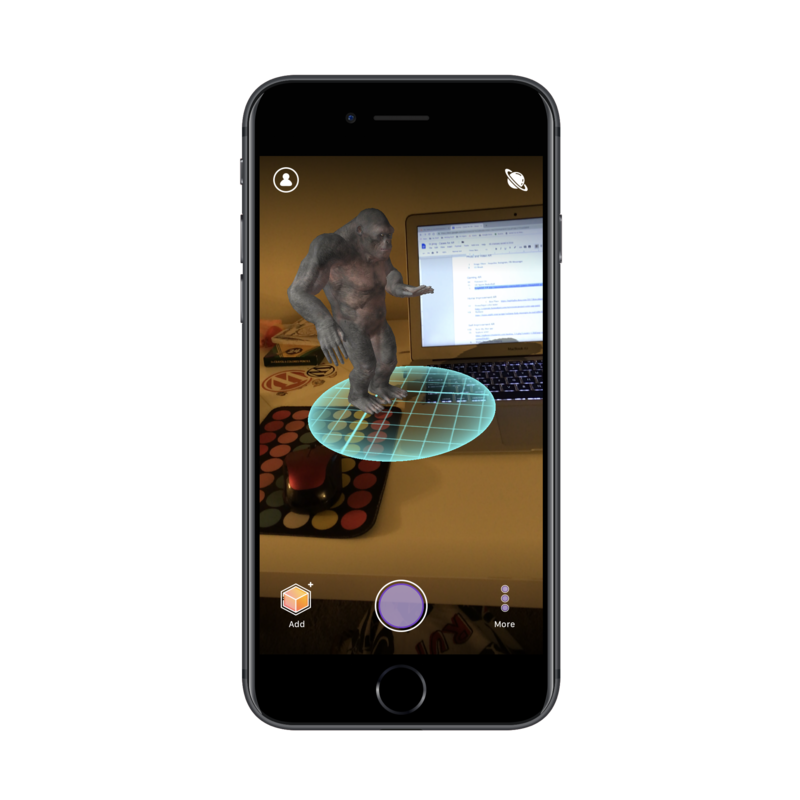 But those aren’t the only applications of AR in mobile apps, which is why I think many mobile app developers and marketers have shied away from it thus far. There are some really interesting examples of this out there though, and I’d like to introduce you to them in the hopes it’ll inspire your own efforts in 2019 and beyond. For many of us, augmented reality is already part of our everyday lives, whether we’re the ones using it or we’re viewing content created by others using it. What am I talking about? Social media, of course. There are three platforms, in particular, that make use of this technology right now. Snapchat could have included a basic camera integration so that users could take and send photos and videos of themselves to others. But it’s taken it a step further with face mapping software that allows users to apply different “filters” to themselves. 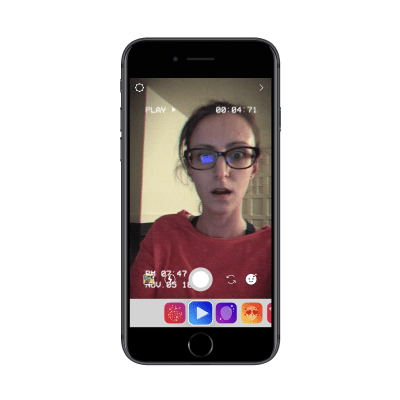 Unlike traditional filters which alter the gradients or saturation of a photo, however, these filters are often animated and move as the user moves. 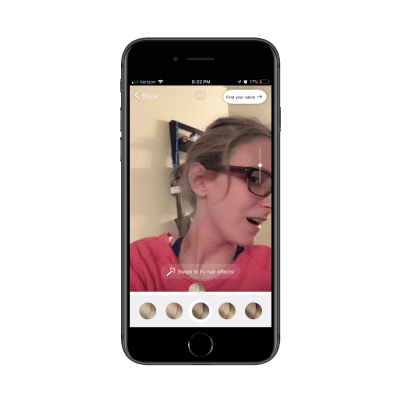 Instagram’s Stories allow users to apply augmented filters that “stick” to the face or screen. 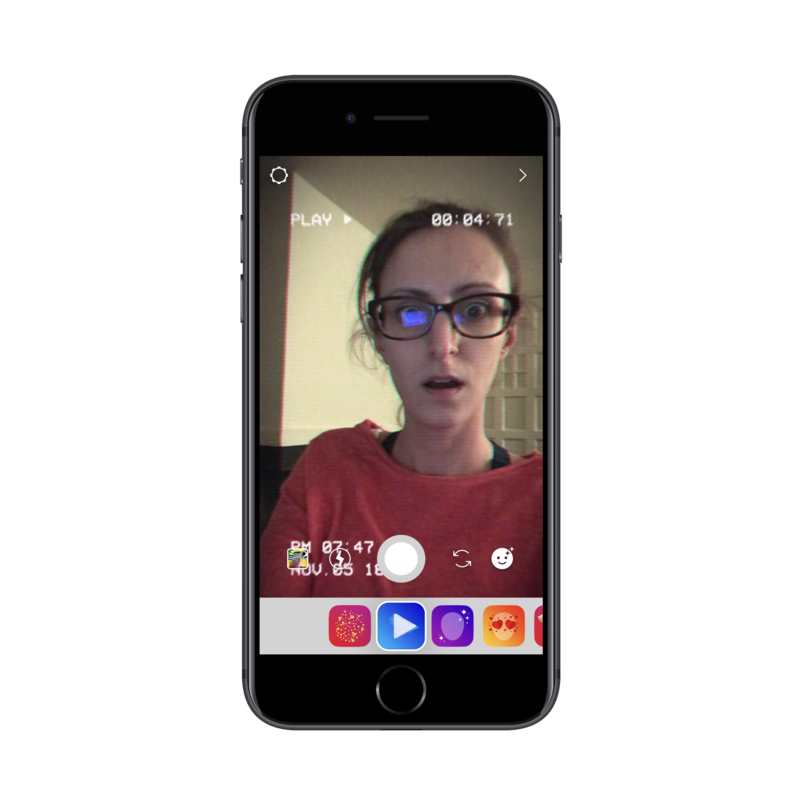 As with Snapchat, there are some filters that animate when users open their mouths, raise their eyebrows or make other movements with their faces. 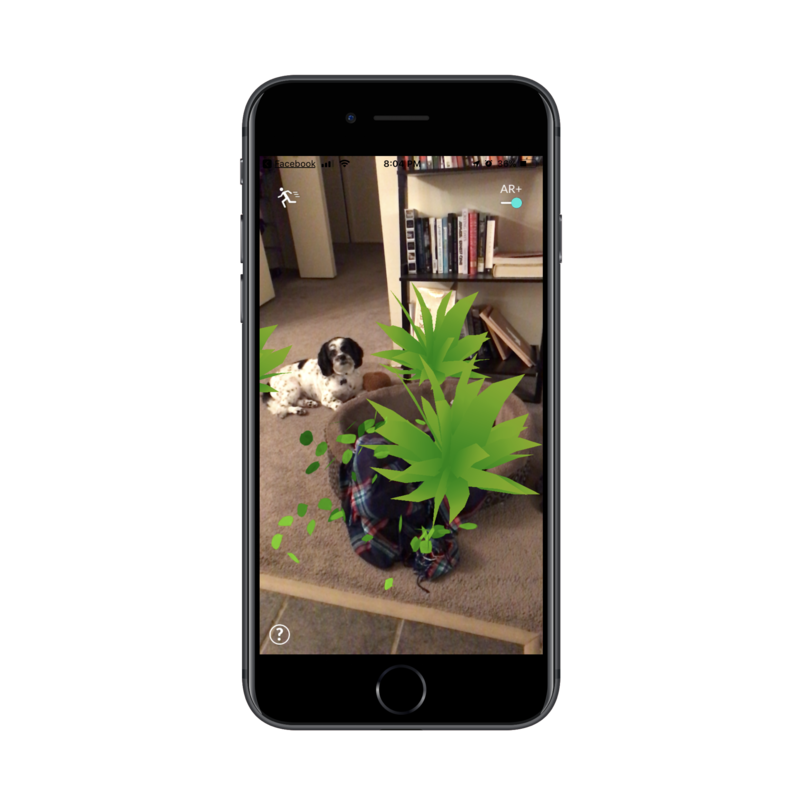 Seeing as how users have flocked to AR filters on Snapchat and Instagram, it makes sense that Facebook would want to get in on the game with its mobile property. 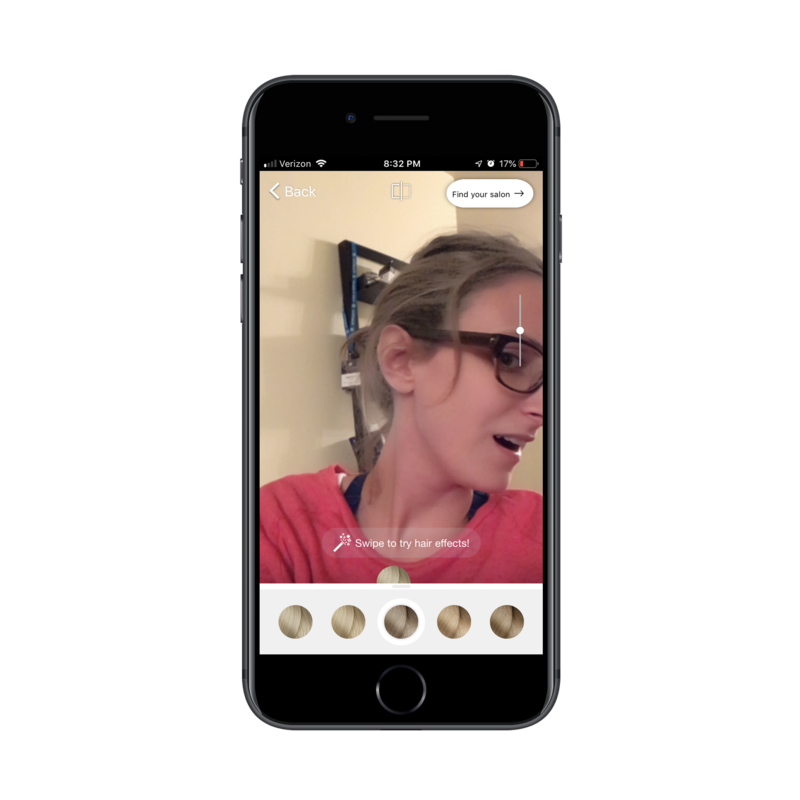 Your mobile app doesn’t have to be a major social network in order to reap the benefits of image and video filters. 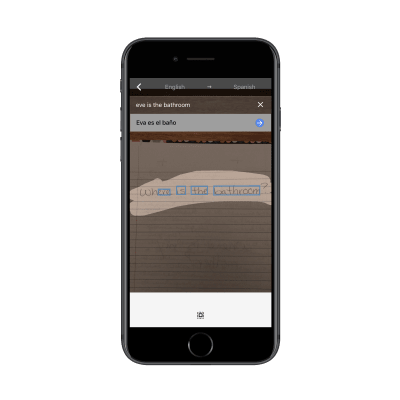 If your app provides a networking or communication component — in-app chat with other users, photo uploads to profiles and so on — you could easily adopt similar AR filters to make the experience more modern and memorable for your users. 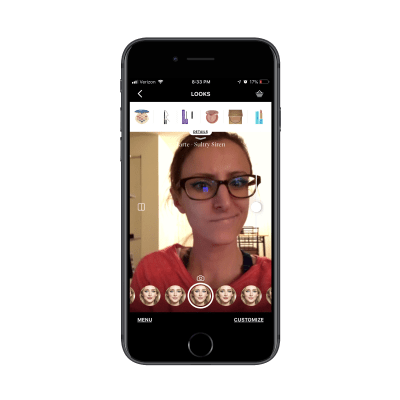 It’s not just your users’ faces that can be mapped and altered through the use of augmented reality. Spaces can be mapped as well. While I will go on to talk about pragmatic applications of space mapping and AR shortly, I do want to address another way in which it can be used. 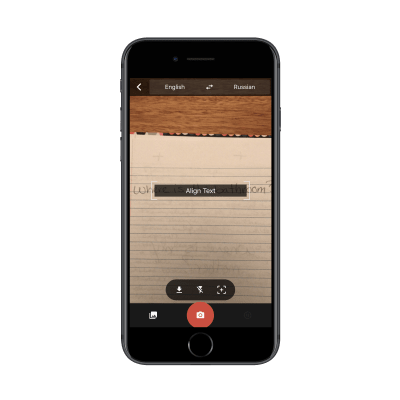 At first glance, it might appear to be just another mobile app that enables users to draw on their photos or videos. But what’s interesting about this is the 3D and “sticky” aspects of it. Users can draw shapes of all sizes, colors and complexities within a 3D space. Those elements then stick to the environment. No matter where the users’ cameras move, the objects hold in place. As you can see here, I’m attempting to map this gorilla onto my desk, but any flat surface will do. I now have a dancing gorilla making moves all over my workspace. This isn’t the only kind of animation you can put into place and it’s not the only size either. There are other holographic animations that can be sized to fit your actual physical space. For example, if you wanted to chill out side-by-side with them or have them accompany you as you give a presentation. The examples I’ve presented above aren’t the full representation of what can be done with these mobile apps. While users could use these for social networking purposes (alongside other AR filters), I think an even better use of this would be to liven up professional video. Video plays such a big part in marketing and will continue to do so in the future. It’s also something we can all readily do now with our smartphones; no special equipment is needed. 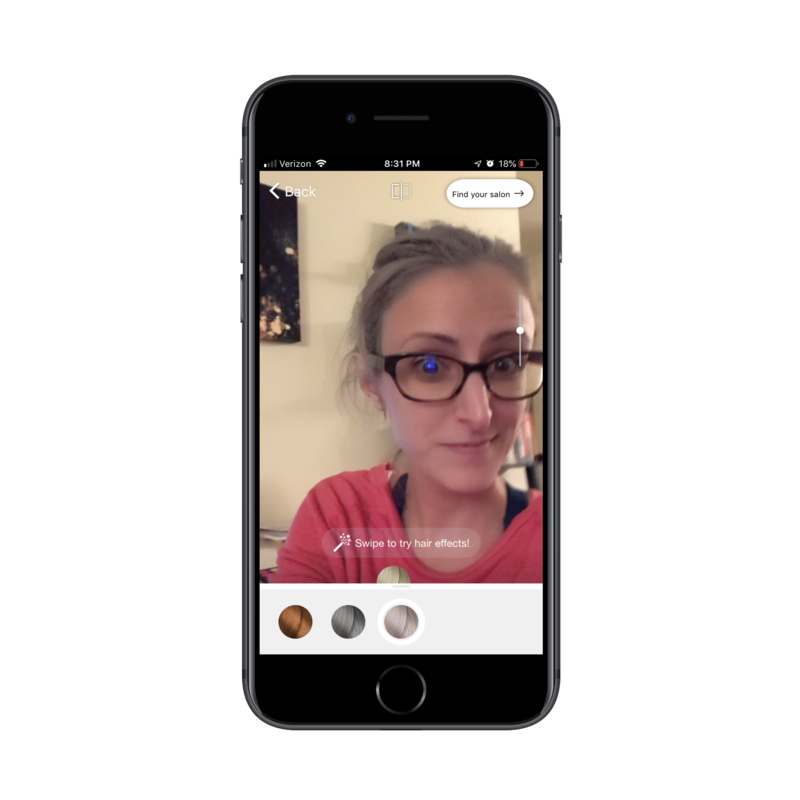 As such, I think that adding 3D messages or objects into a branded video might be a really cool use case for this technology. 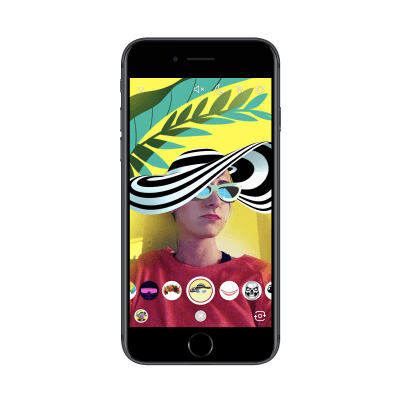 Rather than tailor your mobile app to consumers who are already enjoying the benefits of AR on social media, this could be marketed to businesses that want to shake things up for their brand. Thanks to all the hubbub surrounding Pokémon Go a few years back, gaming is one of the better known examples of augmented reality in mobile apps today. The app is still alive and well and that may be because we’re not hearing as many stories about people becoming seriously injured (or even dying) from playing it anymore. This is something that should be taken into close consideration before developing an AR mobile app. When you ask users to take part in augmented reality outside the safety of a confined space, there’s no way to control what they do afterwards. And that could do some serious damage to your brand if users get injured while playing or just generally wreak havoc out in the public forum (like all those PG users who were banned from restaurants). This is probably why we see AR more used in games like AR Sports Basketball these days. 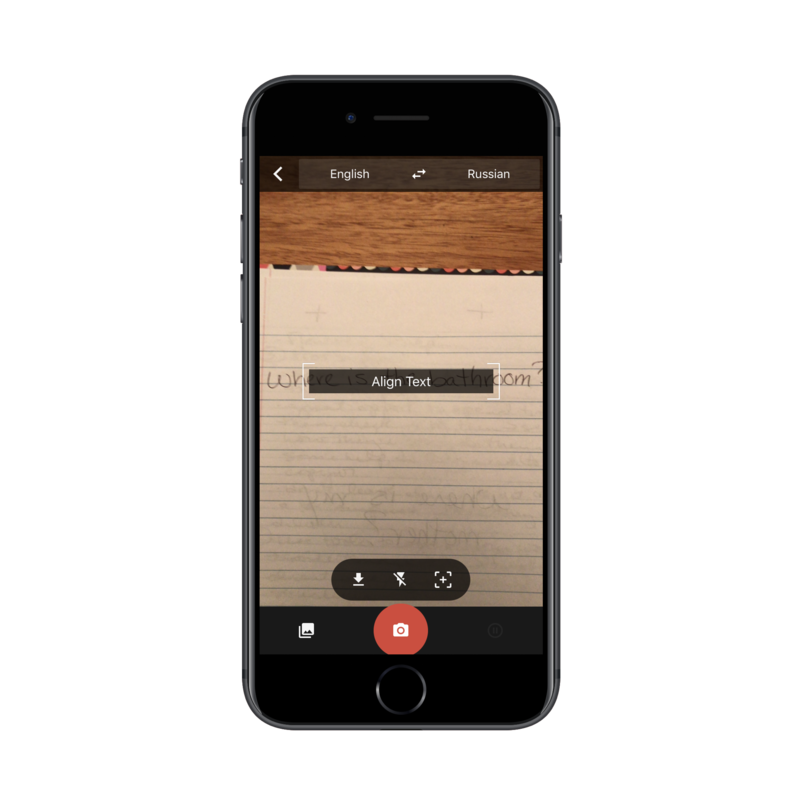 The app maps a flat surface — be it a smaller version on a desk or a larger version placed on your floor — and allows users to shoot hoops. It’s a great way to distract and entertain oneself or even challenge friends, family or colleagues to a game of HORSE. You could, of course, build an entire mobile app around an AR game as these two examples have shown. You could also think of ways to gamify other mobile app experiences with AR. I imagine this could be used for something like a restaurant app. For example, a pizza restaurant wants to get more users to install the app and to order food from them. With a big sporting event like the Super Bowl coming up, a “Play” tab is added to the app, letting users throw pizzas down the field. It would certainly be a fun distraction while waiting for their real pizzas to arrive. Bottom line: get creative with this. AR games aren’t just for gaming apps. IKEA is one such brand that’s capitalized on this opportunity. To start, here is my attempt at shopping for a new desk for my workspace. I selected the product I was interested in and then I placed it into my office. Specifically, I put the accurately sized 3D desk projection in front of my current desk, so I could get a sense for how the two differ and how this new one would fit. While product specifications online are all well and good, consumers still struggle with making purchases since they can’t truly envision how those products will (physically) fit into their lives. 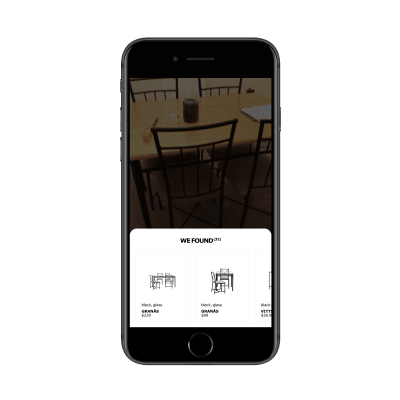 The IKEA Place app is aiming to change all of that. The IKEA app is also improving the shopping experience with the feature above. Users open their camera and point it at any object they find in the real world. Maybe they were impressed by a bookshelf they saw at a hotel they stayed in or they really liked some patio chairs their friends had. All they have to do is snap a picture and let IKEA pair them with products that match the visual description. As you can see, IKEA has given me a number of options not just for the chair I was interested in, but also a full table set. If you have or want to build a mobile app that sells products to B2C or B2B consumers and these products need to fit well into their physical environments, think about what a functionality like this would do for your mobile app sales. You could save time having to schedule on-site appointments or conduct lengthy phone calls whereby salespeople try to convince them that the products, equipment or furniture will fit. Instead, you let the consumers try it for themselves. It’s not just the physical spaces of consumers that could use improvement. Your mobile app users want to better themselves as well. In the past, they’d either have to go somewhere in person to try on the new look or they’d have to gamble with an online purchase. Thanks to AR, that isn’t the case anymore. In the past, these hair color tryouts used to look really bad. You’d upload a photo of your face and the website would slap very fake-looking hair onto your head. 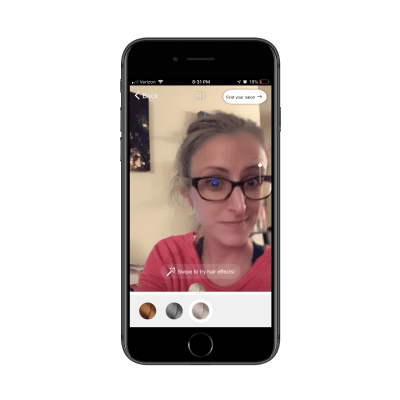 It would give users an idea of how the color or style worked with their skin tone, eye shape and so on, but it wasn’t always spot-on which would make the experience quite unhelpful. Sephora is another beauty company that’s taking advantage of AR mapping technology. Here is an example of me feeling not so sure about the makeup palette I’ve chosen. But that’s the beauty of this app. Rather than force customers to buy a bunch of expensive makeup they think will look great or to try and figure out how to apply it on their own, this AR app does all the work. Anyone remember the movie The Craft? I totally felt like that using this app. 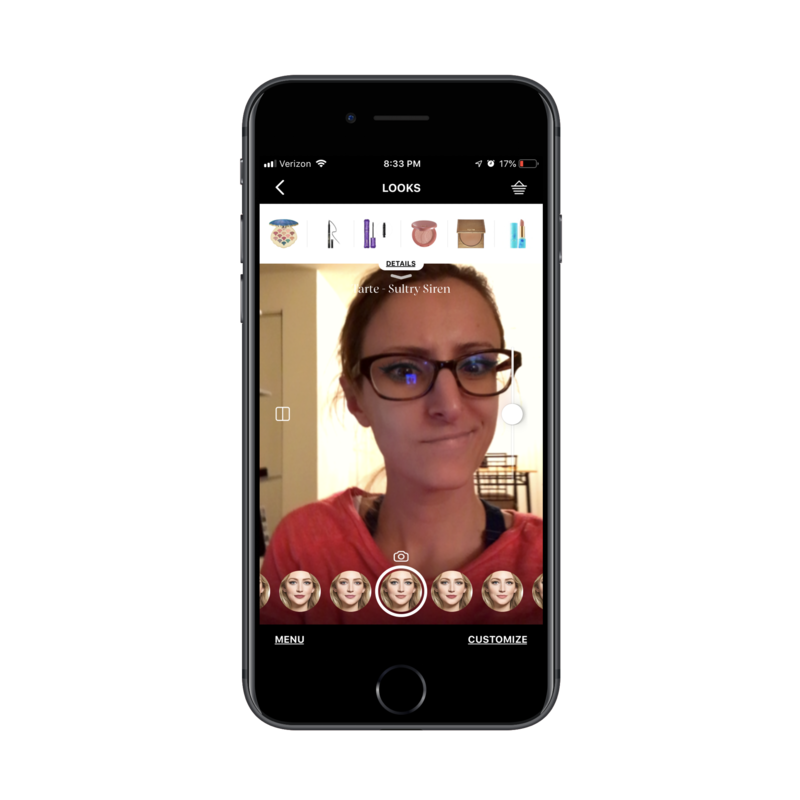 If your app sells self-improvement or beauty products, or simply advises users on next steps they should take, think about how AR could transform that experience. You want your users to be confident when making big changes — whether it be how they wear their makeup for date night or the next tattoo they put on their body. This could be what convinces them to take the leap. Finally, I want to talk about how AR has and is about to transform users’ experiences in the real world. Now, I’ve already mentioned Pokémon Go and how it utilizes the GPS of a users’ mobile device. This is what enables them to chase those little critters anywhere they go: restaurants, stores, local parks, on vacation, etc. But what if we look outside the box a bit? Geo-related AR doesn’t just help users discover things in their physical surroundings. It could simply be used as a way to improve the experience of walking about in the real world. Think about the last time you traveled to a foreign destination. You may have used a translation guidebook to look up phrases you didn’t know. You might have also asked your voice assistant to translate something for you. But think about how great it would be if you didn’t have to do all that work to understand what’s right in front of you. A road sign. A menu. A magazine article. 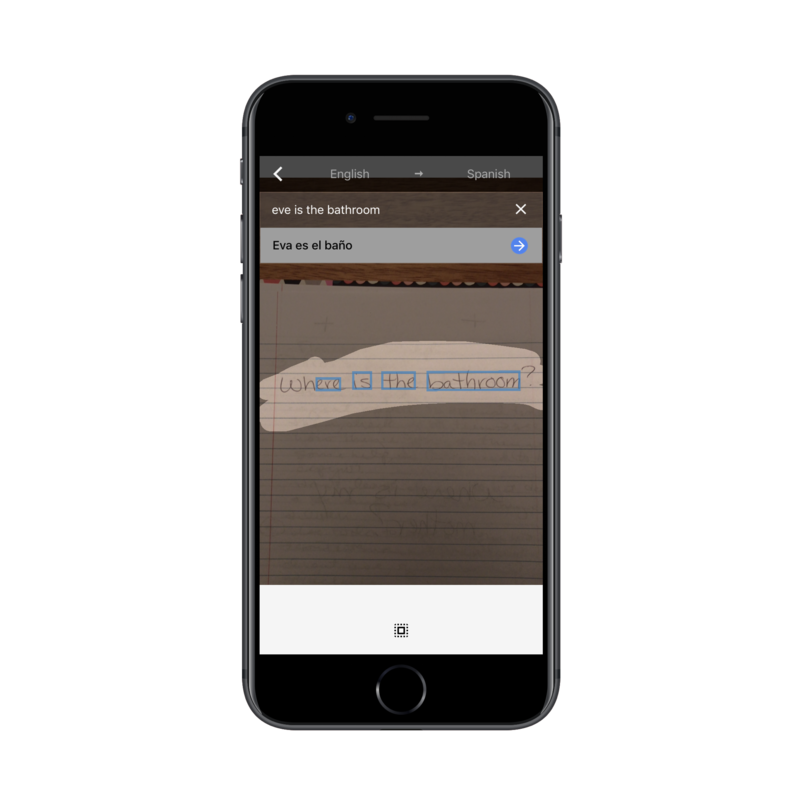 It’s not 100% accurate — which may be due to my sloppy handwriting — but it would certainly get the job done for users who need a quick way to translate text on the go. There are other mobile apps that are beginning to make use of this geo-related AR. For instance, there’s one called Find My Car that I took for a test spin. I don’t think the technology is fully ready yet as it couldn’t accurately “pin” my car’s location, but it’s heading in the right direction. In the future, I expect to see more directional apps — especially, Google and Apple Maps — use AR to improve directional awareness and guidance for users. There are challenges in using AR, that’s for sure. The cost of developing AR is one. 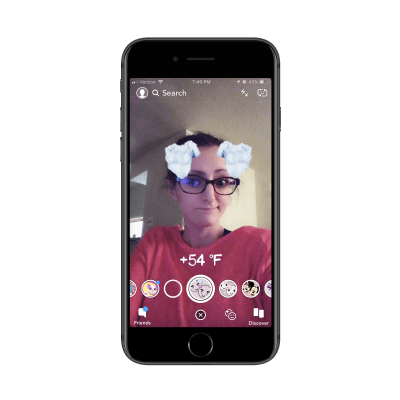 Finding the perfect application of AR that’s unique to your brand and truly improves the mobile app user experience is another. There’s also the fact it requires users to download a mobile app, so there’s a lot of work to be done to motivate them to do so. I’d also advise you to spend some time in the apps above. Get a sense for how the technology works and discover what makes it so appealing on a personal level. 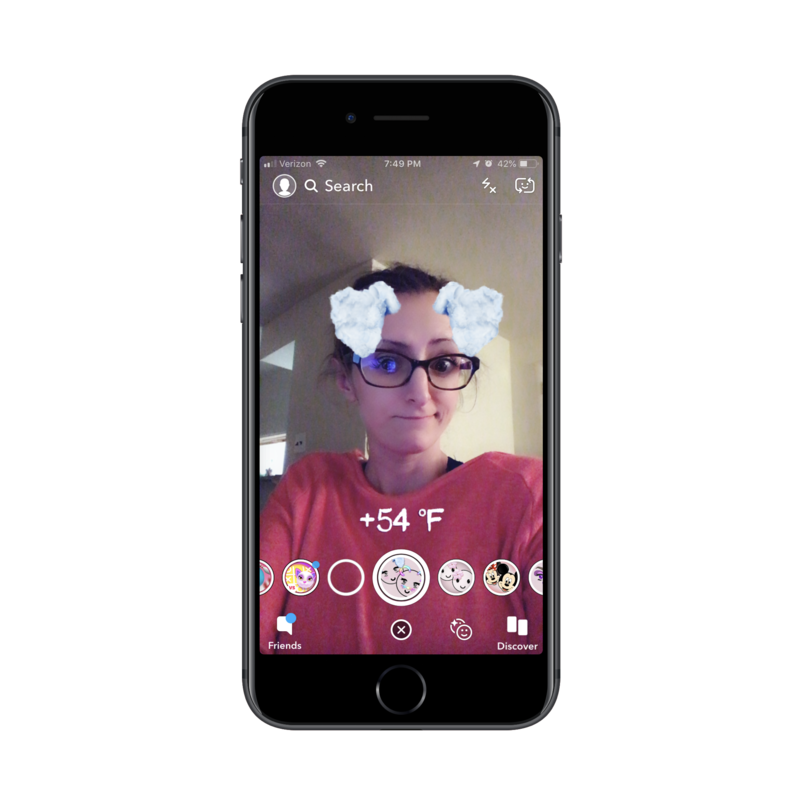 Compare it to your own mobile app’s goals and see if there’s a way to take AR from just being an idea you’re tossing around to a reality.